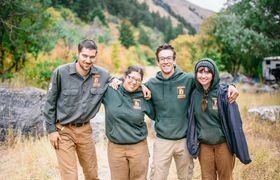 Come Live and Work outdoors as a Utah Conservation Corps Crew Leader! Proximity to all Utah National and State Parks, and outdoor recreational activities during off days! Throughout the state of Utah, both front country and back country. 100% outdoors.